In autumn 1726, a poor woman from Godalming gave birth to rabbits. The case of Mary Toft became a media sensation and a medical wonder. 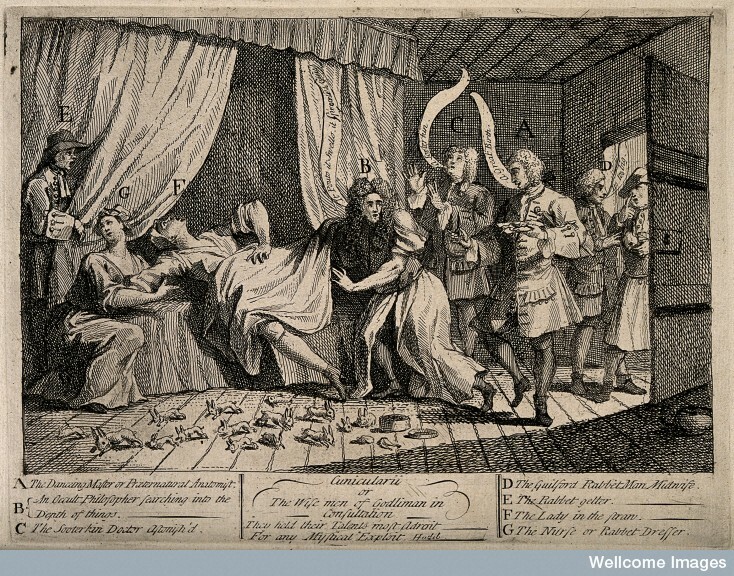 Most historians have focussed on this medical context, examining why and how several doctors – including the King’s own anatomist – thought the hoax was possible. This paper reinterprets the event as a micro-history and in the context of local and national social relations. It takes as it’s starting point the work of E. P. Thompson on the social and political conflicts that surrounded the passing of the notorious Black Act in 1723.